Cable entry feedthroughs provide protection through bulkheads, panels and similar applications. 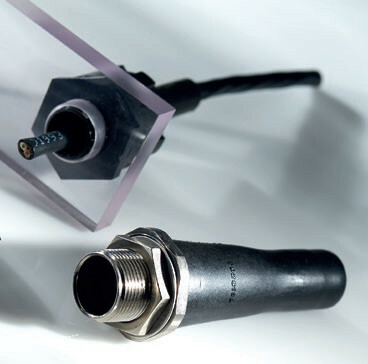 207W213 to 256 Feedthroughs provide an effective pressure seal when used with cables passing from pressurised to non-pressurised areas. Also provide excellent strain relief and bulkhead abrasion protection.